Beautiful step by step watercolor pencil landscape demonstration from Paint Academy. Here is a beautiful step by step pastel painting demonstration of a landscape from Madhubala Arts. Be sure to visit her channel for more free step by step oil pastel tutorials. Enjoy the video! I think pastel artists will enjoy this fun and creative underpainting technique. I’m always learning something new in art and I really like using the Neocolor II Water-soluble Wax Pastels applied as an underpainting. To view more lessons from artist Susan Jenkins, visit her YouTube Channel here. Great exercise for artists! To see more great videos like this, be sure to visit the Proko Youtube Channel Here. Visit Yong’s youtube channel for more free lessons! Great beginner pastel painting demo from artist Karen Margulis. Visit her youtube channel here for more free content! 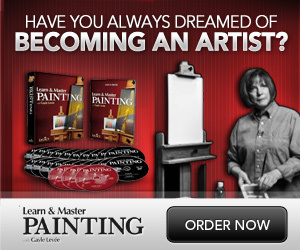 Great step by step demonstration from The Virtual Instructor on one way to paint a tree with soft pastels. Join in the fun and create your own beautiful tree! Visit The Virtual Instructor Youtube Page for more great lessons like this!